Quran is the best wonder, and it is a gift of Allah that He the Almighty has presented to humanity. In the Holy Quran, you can discover answers to all the existing issues in the world and replies to every one of the inquiries that a man sees and examines it impartially. It conveys various scholarly, social, well and rules identified with each part of his life for someone who is non-adherent, be that as it may, for any devotee it comes with more prominent guarantees. Also, other than the regular content of the Holy Quran, You will find unique and Reverend parts contrasted with others. One of the many parts of the Holy Quran is Yaseen Surah. Surah Yaseen is a great surah and is considered one of the best ones from the Quran. There are many benefits of reciting this Surah. This hadith clearly states that Surah Yaseen is said to be the heart of the Quran. It shows that important Surah Yaseen is for the Quran. 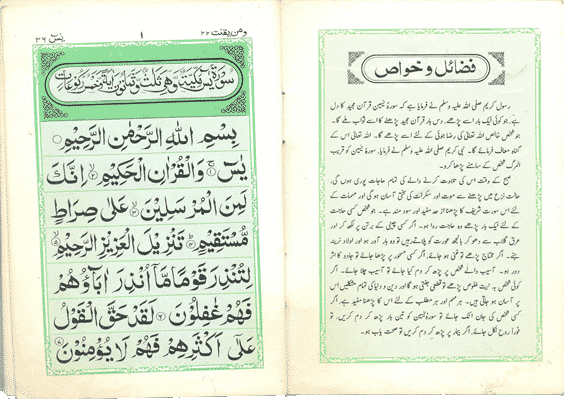 It is said that if you recite Surah Yaseen one time, you will get rewards of reciting the Holy Quran ten times. So as a muslim, the reward matters to us a lot, and this is why you should try memorizing this surah. When we take a closer look at this surah, you will find this written in many places where it says that this surah is beneficial for the forgiveness of sins of a person. This hadith states the fact that when a person is on the verge of death, the only thing that he needs is comfort and that can be provided to him by reciting Surah Yaseen. So it is, without any, doubt, very beneficial to recite.